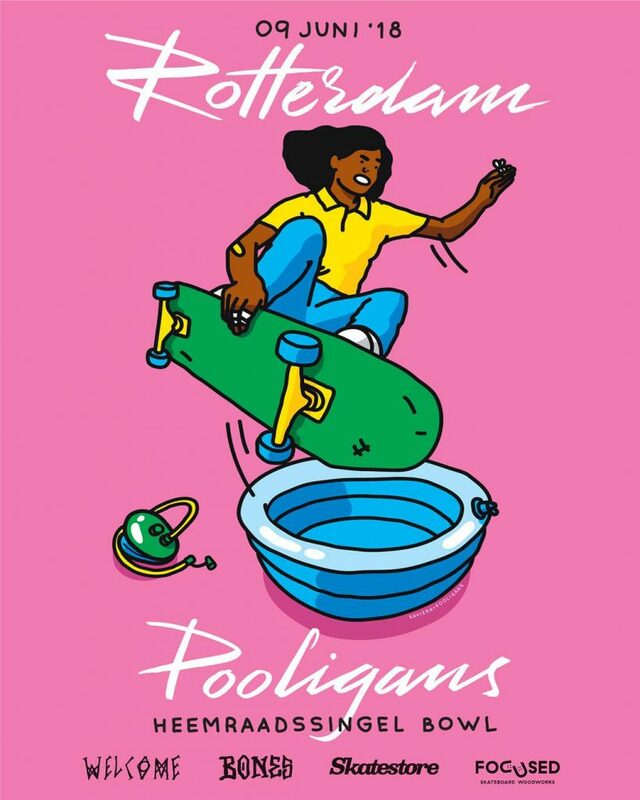 Make sure to have no plans except one on June 9, because it’s time for Rotterdam Pooligans 2018, presented by Bones Wheels, Welcome and Skatestore! Sick pool skating, beers, food, music, vibes, it’s all there. Click the image for more info on their facebook event page. Till then! Dit bericht werd geplaatst in Bones, Welcome Skateboards en getagged met bones wheels, rotterdam pooligans, skatestore, welcome skateboards op 17 mei 2018 door admin.